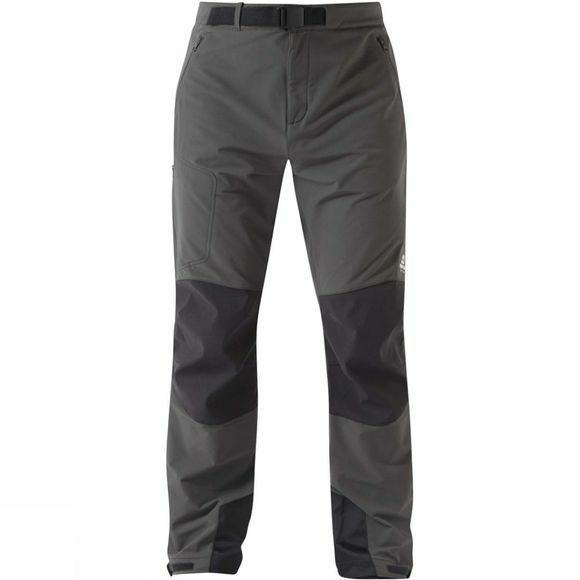 The Mens Mission Pant from Mountain Equipment combines EXOLITE Soft Shell fabric and Gore Windstopper. The Mission Pants are ideally suited to cold weather mountaineering in the most technical terrain. Our Mountain fit is combined with essential features such as integrated venting pockets and reinforced kick strips.